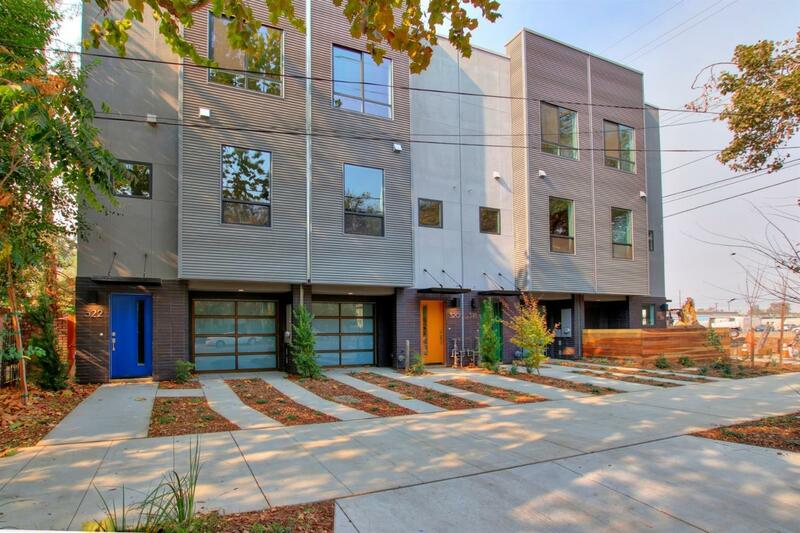 Modern and sophisticated 3 story loft in Mansion Flats, Downtown Sacramento's hottest historic neighborhood. Attention to detail include: open tread stairs w/steel railings, 11' ceilings at main floor, exposed ducting, wide-plank grey floors, pattern cut carpet, designer lighting and fans. Gourmet kitchen with ebony cabinets, granite slab counters, subway tile backsplash and beautiful upgraded GE Profile stainless steel appliances. spacious top floor master and large walkin shower, double closets and huge windows with neighborhood views. 2 large bedroom, full bath and side by side laundry room. Outdoor space includes a large covered 1st floor patio w/private backyard, 2nd floor huge deck and low maintenance landscaping. Large unfinished bonus room on 1st floor is not included in the sq ft and is ready for your creative design. Near transit, shopping, G1C, State Capitol, bike trails, freeways and all the exciting things in Downtown and Midtown. Come live the ultimate Urban Experience!